Hundreds of people line up along Congress Street Bridge overlooking Ladybird Lake to see the bats of Austin fly out for the evening. Every evening around dusk, between the months of late March to early October, spectators can see thousands of mostly female bats fly out from under the bridge. From 750,000 up to 1.5 million Mexican free-tailed bats consume from 10,000 to 30,000 pounds of insects a night. 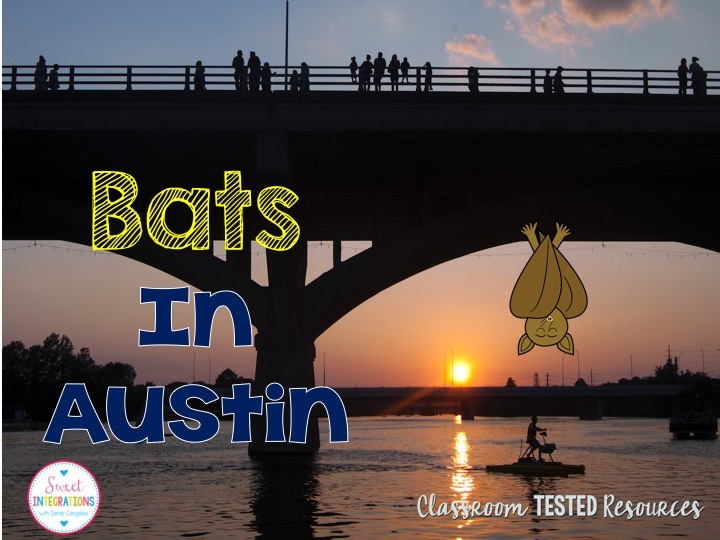 Austin is home of the largest urban bat colony in North America and the Conservation International. We love our bats because we have fewer mosquitoes than most southern cities. October is the perfect time of year to learn about nocturnal animals like bats and owls. Because I live in Austin, I've chosen several books at the bats of Texas. 1. Bats of Texas by Loren K. Ammerman contains illustrations and information about 32 different species of bats in Texas. This is not a book to be read by young children but it's an excellent resource for those who are teaching units on the bat population and the importance of conserving them. 2. 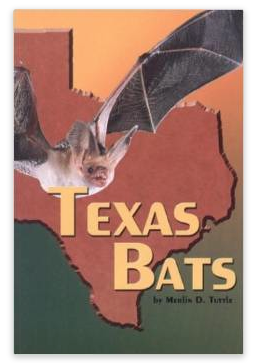 Another Texas book named Texas Bats is written by Merlin D. Tuttle. Mr. Tuttle is the director of Bat Conservation International. This organization is located here in Austin and their website is filled with educational opportunities. 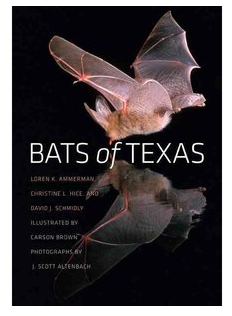 I like the layout of the book because it highlights each of the 32 species of bats in Texas, giving their appearance, mating and rearing young, habitat and food, roosting behavior, human encounters and a map of Texas illustrating their location. Again, this book is a great resource for teachers and older students. 3. 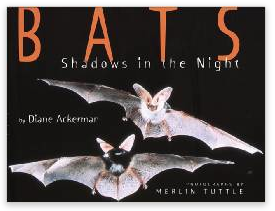 Bats Shadows in the Night by Diane Ackerman is illustrated by none other than Merlin D. Tuttle. The beginning of the book shows a photograph of the Mexican free-tailed bats flying out from Bracken Cave near San Antonio. Bracken Cave is home of the largest bat population in the world. Twenty million bats fly out from the cave using their sonar to feed on insects. I love this book because Diane tells the story in first person. I feel like she's having a conversation with me. The photographs are wonderful! 4. 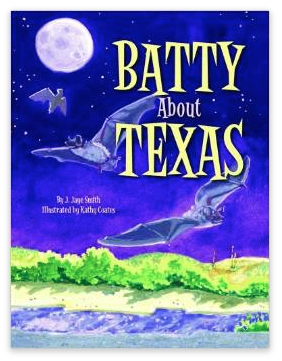 For younger students who are learning about Texas bats, I recommend Batty About Texas by J. Jaye Smith. She writes about a Mexican free-tailed bat named Bo. 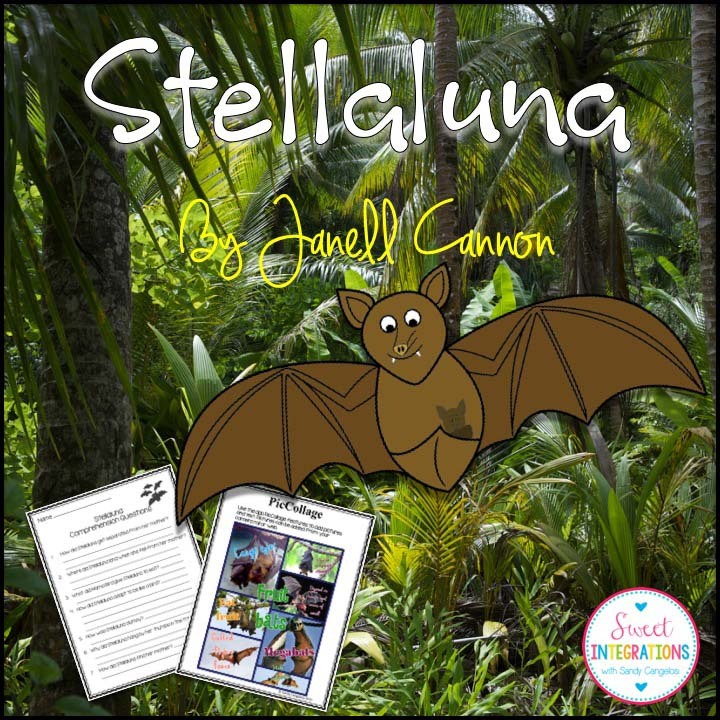 As Bo takes readers into the night of the bat's world, the writer educates children about the importance of bats to our state and other gives interesting facts about bats. This book is my favorite because it takes the reader through the migration of the bat and different places in Austin and around Texas. Like Stellaluna, Batty About Texas is a excellent book to read when introducing a unit on bats. 5. Of course, I can't leave out Stellaluna. It's a favorite of everyone. There are so many life lessons in this book. 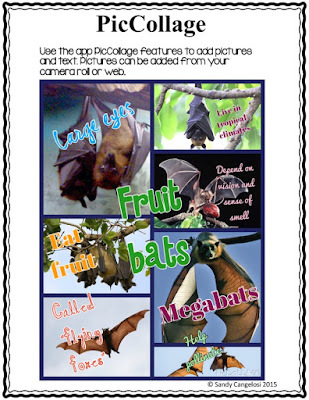 Students can learn about likes and differences, how she tries to fit in, and behavior of bats. 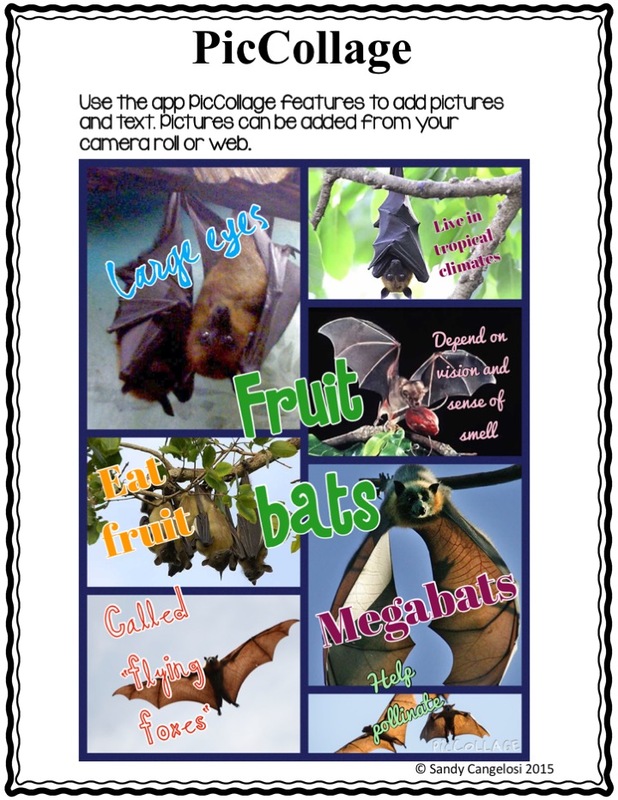 For a fun research project, your class can use PicCollage to find pictures of bats and label facts about them. 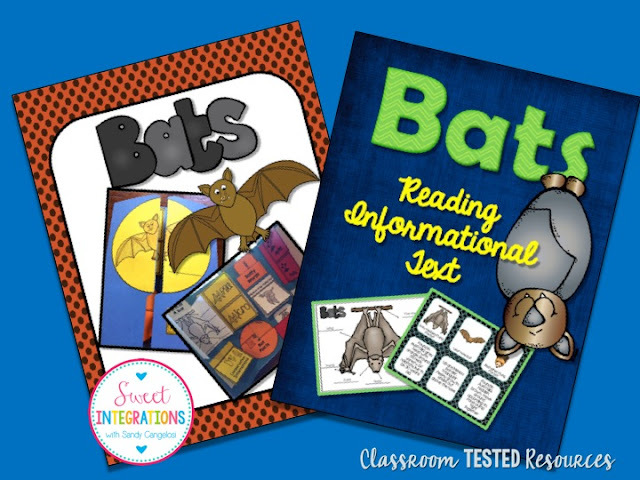 For more informational text products about bats, click on Bats Lapbook and Bats: Reading Informational Text. Click here to visit my Google site about bats and owls. I've provided more online resources and books for your classroom.